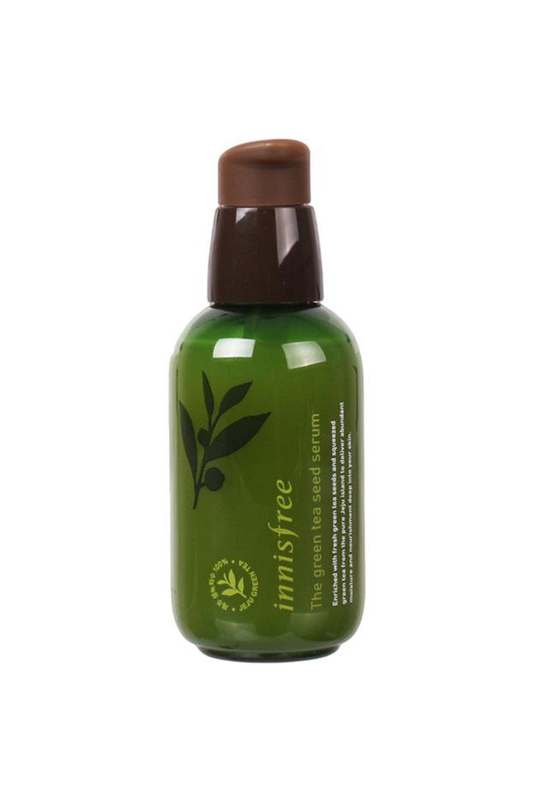 A moisturizing and nourishing serum containing organic Jeju fresh green tea and green tea seeds that hydrate your skin from deep within. - Rich in amino acids and minerals, green tea from Jeju's green tea leaves hydrates your skin. - The fresh green tea hydrates your skin deeply and the green tea seed oil creates a strong moisture barrier to keep your skin moisturized longer. - The first skincare step after cleansing. - Pump a dollop of the serum on your hand and apply it on your face and neck.